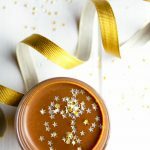 Not only rich, creamy and really chocolatey, but incredibly quick and easy to make, these chocolate pots will definitely be making an appearance on my Christmas table. 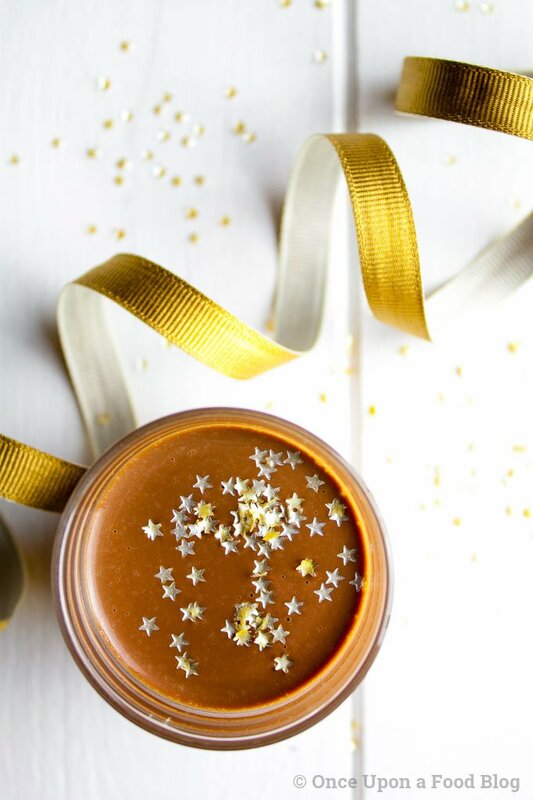 Regular readers of my blog will know that chocolate is not as high on my list of gorgeous dessert ingredients as it is on most other peoples, but these chocolate cream pots, originally made by Delia Smith, are an exception. They are rich, creamy and properly chocolatey. I first tried them at a friend’s house, and I just had to have the recipe. It didn’t take me long to realise that they would make a perfect Christmas dessert. 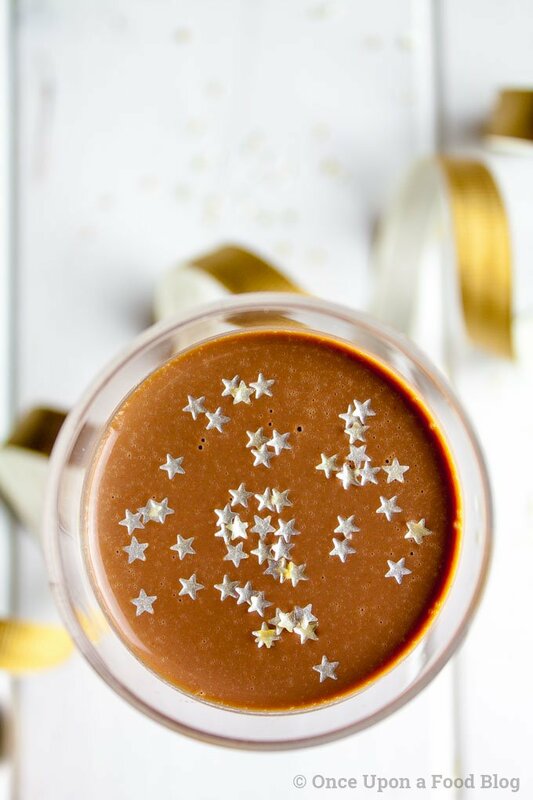 They’re gorgeously decadent and can be dressed up well with a few gold stars, but they’re also incredibly quick and easy to make. It’s a simple case of warming the cream, milk and vanilla, melting the chocolate into this mixture and beating in the egg. And that’s it. Just pour the mixture into your glasses and chill. In the recipe I have used slightly more dark chocolate than light. I love the dessert this way – not too bitter, not too sweet. However, my girls prefer them when I make them using mainly milk chocolate, with just a tiny bit of dark. The most important thing when it comes to the chocolate is to use a really good quality chocolate – the kind that costs about £2 for 100g. The other thing to ensure you get right with this recipe is the chilling. 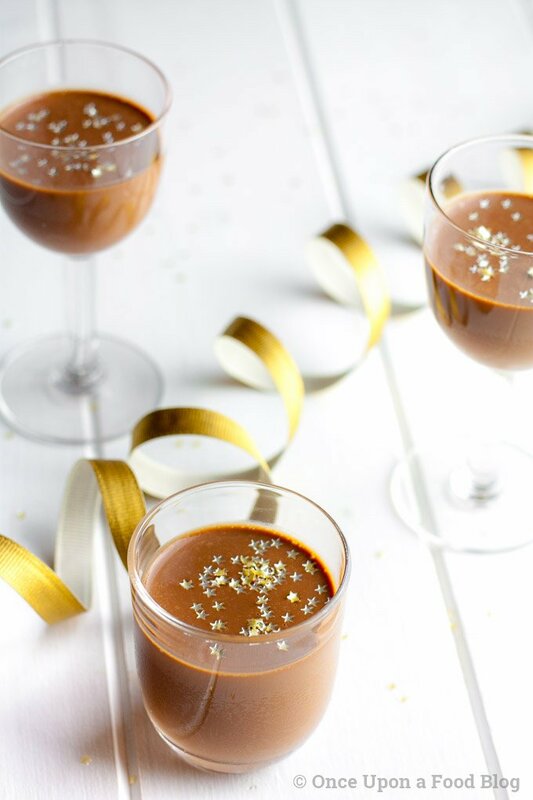 You are adding eggs into warm chocolate so it’s really important that you use really fresh eggs and get the pots in the fridge after just a few minutes cooling on the work top. I make this dessert at least six hours before serving so it has time to set but no more than 24 hours before serving because of the raw eggs. And if your great grandma, some tiny kids, or the pregnant lady from down the road are going to be joining you it would be a good idea to provide a raw egg free dessert as well. Break the chocolate up into small pieces and set aside. Place the cream, milk and vanilla extract into a small pan and heat until just below simmering point. Remove from the heat. Add the chocolate, leave to melt for a minute or so then stir. Leave to cool for another minute then crack in the egg and beat in thoroughly. 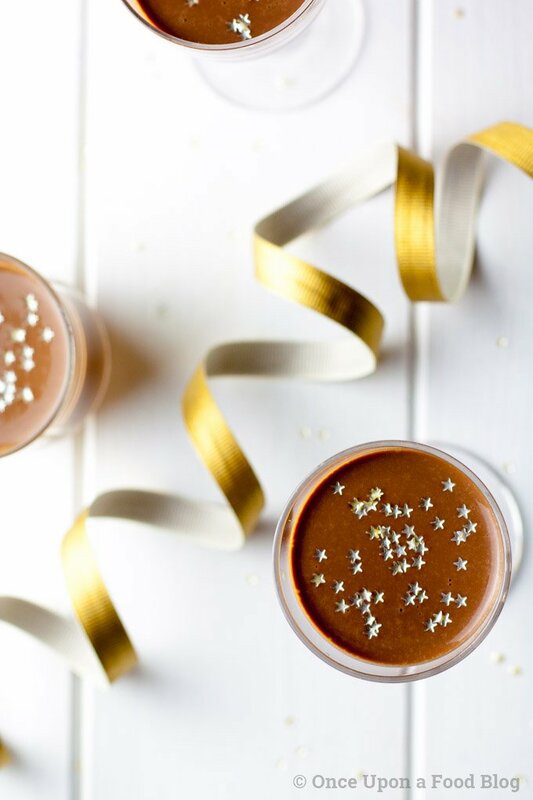 Pour into little ramekins, glasses or shot glasses* and place into the fridge. Leave to chill for 6 hours before serving. Fun fact, I made these chocolate pots for Christmas Day dessert. They were the first thing I did to allow the time to chill and set up in the fridge. It was getting closer to my guests arriving and I noticed that they weren’t setting up. So in desperation I popped them in the fridge and low and behold, I created ice cream! They were delicious and formed a gelato type consistency. So even though they didn’t work as intended, they were still devoured by my guests.